Thank you Steve Dolinsky for visiting Immm Rice & Beyond! IMMM has recently renounced as one of the best Thai restaurants in Chicago located in Uptown. Two of our favorite dishes has featured on “Hungry Hound”. They called “Som-Tum” (Green papaya salad) and our traditional northern dish “Kao Soy” (Curry-noodles). As we proudly serve authentic Thai street food, Som Tum is one of the recommended dishe here at IMMM. 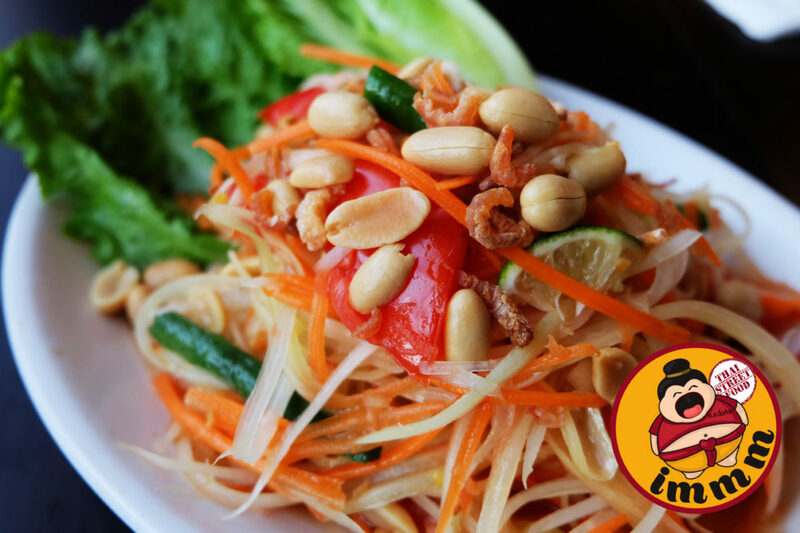 Som Tum is green papaya salad that pounded together with Lime, Fish Sauce Vinaigrette, Garlic, Bird-Eye Chili, Tomatoes, and Green Beans. It’s one of the healthy and tasty dish. Another recommended dish is Kao Soy. It’s a northern style curry based noodles serve with you choice of chicken, beef, or tofu. It’s the classic northern Thai curry noodle is packed with uncompromising flavor that you must try!